Daylight saving and the warmer weather signals that it's time to explore the great outdoors. For experienced campers, who are used to sleeping under the stars, the yearly ritual of retrieving the tents and camp stoves from the shed will be in full swing. For those who are yet to venture out to sleep in a tent and survive on dehydrated food, there are alternatives that even that most tent-phobic people can enjoy. 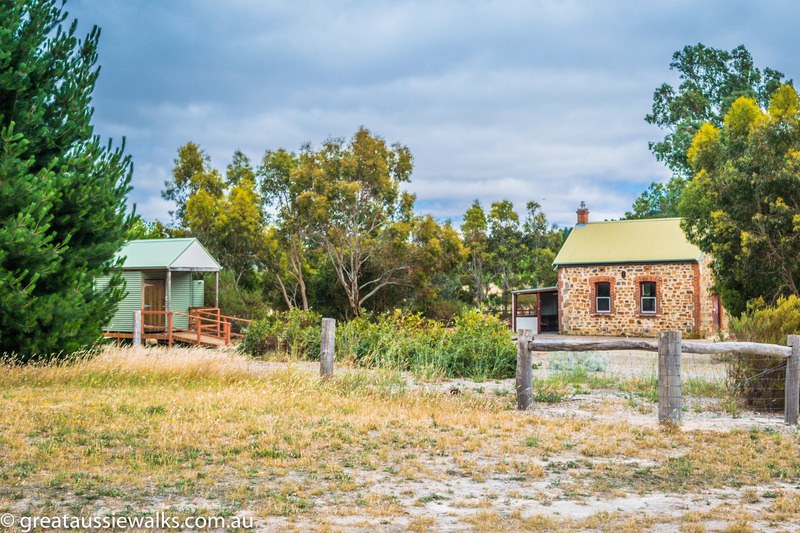 Located throughout the state are a number of camp huts available for hire in some of South Australia's most scenic spots. 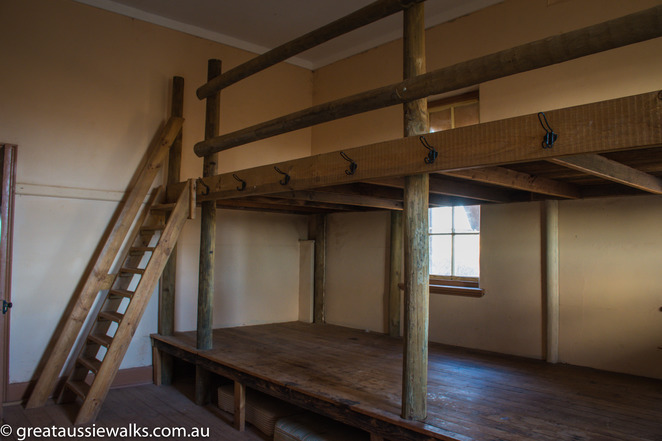 Some are renovated cottages or school houses and others have been adapted for small groups of family and friends to book and set up camp. There are also small shelters which are available on a first come-first serve basis. Here are a few to get you started. Located in the Mt. 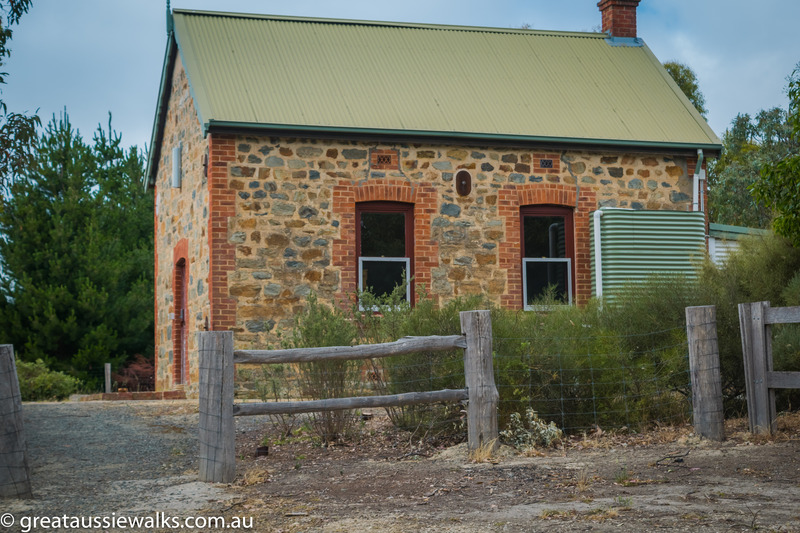 Crawford Forest, 55km from Adelaide, the Old School House can be accessed through the gate on Springton Road, about 7km east of Warren Road. 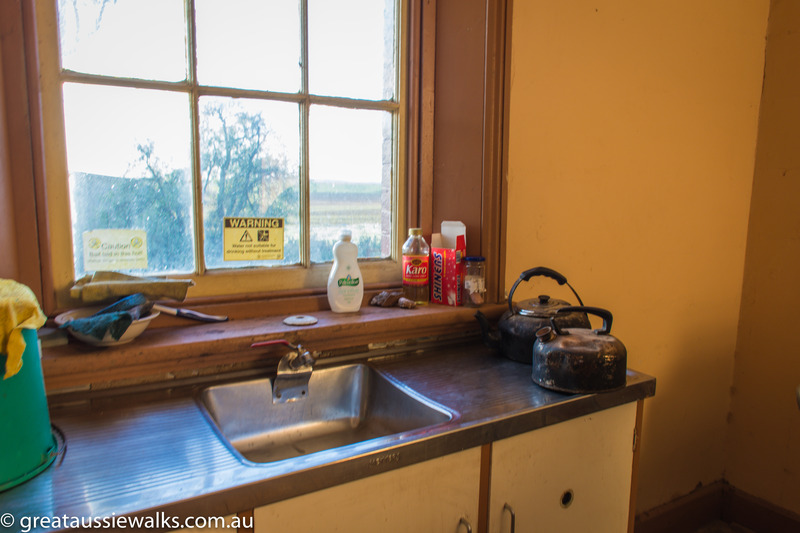 Providing bunk style accommodation for up to six people, the facility has a slow combustion heater, solar lighting and separate kitchen annex with a sink. Toilet facilities are also available. Remember to take your own bedding, cooking utensils and enough drinking water for your needs, as the rainwater is not suitable for drinking. Overnight bookings, for a minimum of two nights, can be booked between April 1 and November 30 by contacting Forestry SA on 82511700. A camping fee of $90 per night applies and you will be provided with the access code for the gate when you book. The Bundaleer and Wirrabara Forests are located in the mid-north and provide a scenic place to begin your journey into the world of camping. 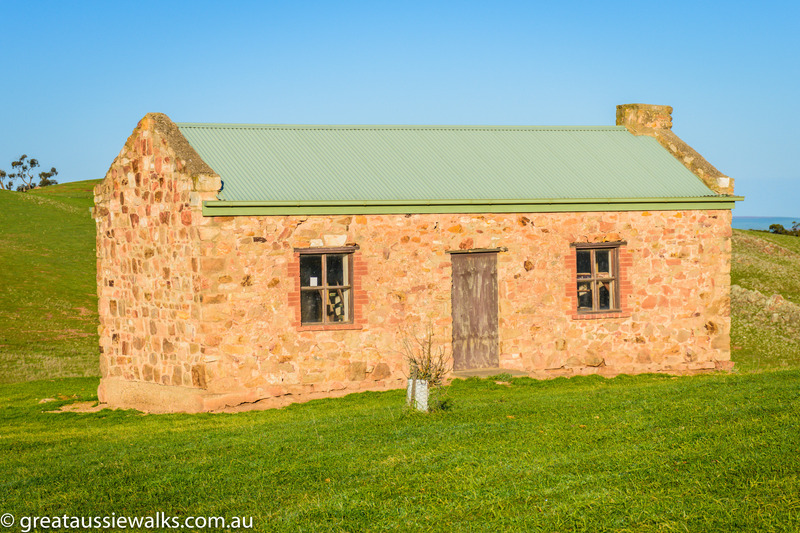 Curnow's Hut, which once belonged to John Curnow, Bundaleer's first nurseryman, is a small stone house located in a scenic setting near the creek. 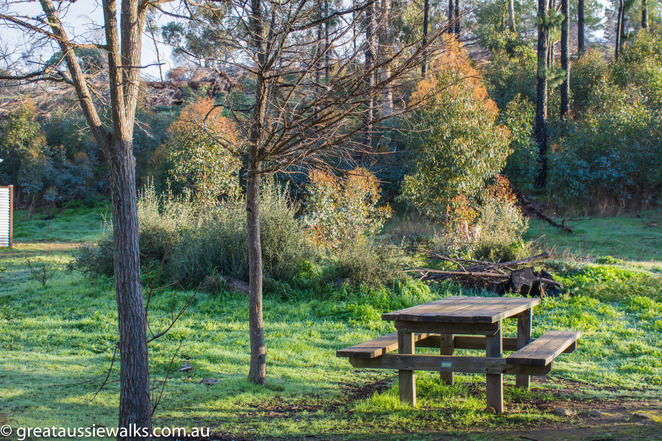 Located 15km south of Jamestown, about 200km north of Adelaide, the forest is home to walking and cycling trails, as well as an arboretum and an oval. 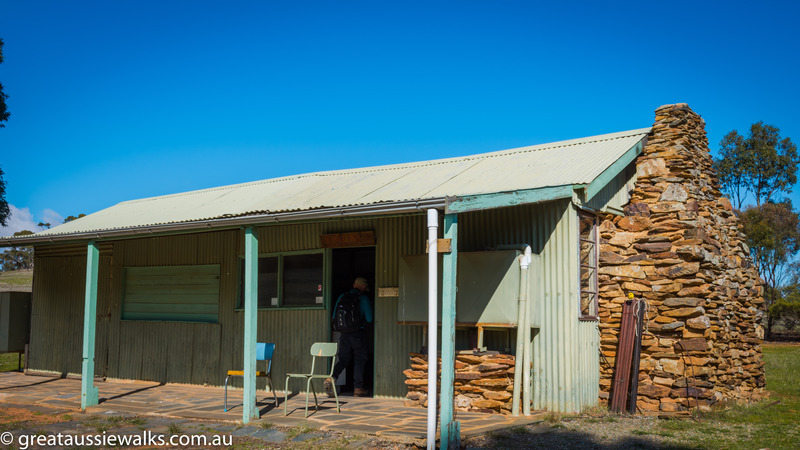 Accessing Curnow's Hut by car will requires a code available from the Wirrabarra Forest Office. Facilities in the three-roomed cottage include bunks, oven and toilets. Originally the Robertstown Golf Clubrooms, the single roomed corrugated iron hut has a stone fireplace and full-length veranda. Offering bunk style accommodation for up to ten people, on a first come first served basis, the hut also has table and chairs and a large stone fireplace. Not accessible by car, Huppatz hut is a popular resting point for hikers on the Heysen Trail, but can be used by anyone without booking or paying a fee. For those who stay in Huppatz hut, the views across the rolling hills and the uninterrupted views of the night sky make the 3km walk from Burra Road worthwhile. Built in 1884, the former school and residence is now a popular bunkhouse location with 2 bedrooms, a lounge, kitchen and facilities including a slow combustion heater and a toilet. Accessed from Dares Hill Road, the school is available on a first come-first served basis, so bookings are not required. Amazing views of Mt. Bryan can be seen from the picnic area outside the old school house. The adjacent old church is also worth a look. 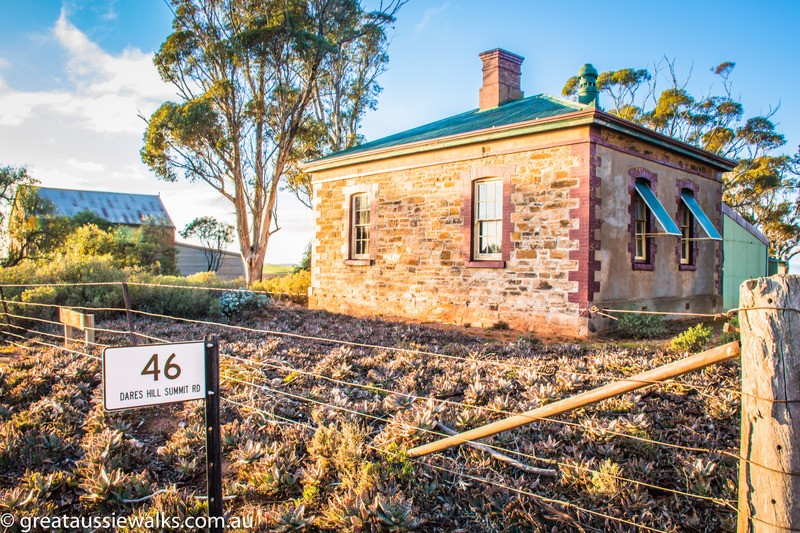 Contact the Friends of the Heysen Trail to get the access code. 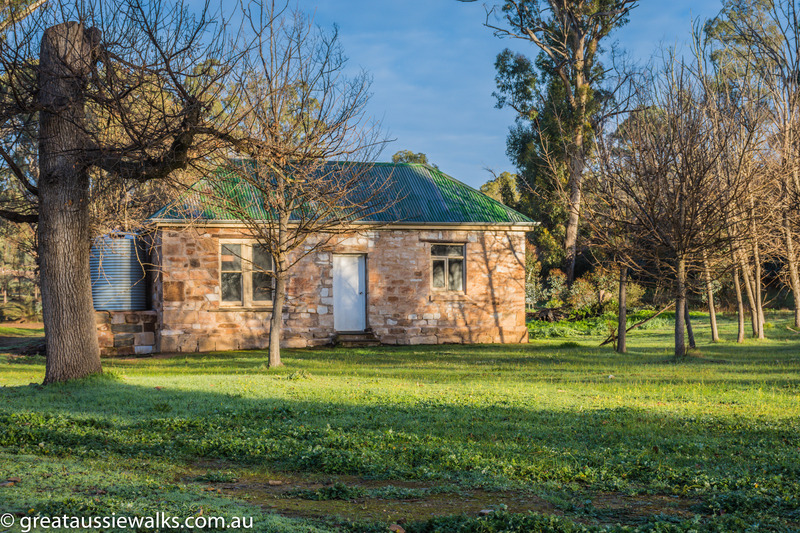 Located near Georgetown, about 196kms north of Adelaide, Hiskey's Hut is a two-roomed cottage with bunks, camping platforms, a fireplace, table and chairs and a toilet. The house has a rainwater tank but water quality and quantity can be unreliable, so be sure to take a good supply of water. The stone cottage has been the residence of two generations of butchers in the 1800s and 1900s and also a cosy home for a family of six children and three adults who lived in the cottage after WW1. The Noll family, whose descendants still live in Georgetown, lived in the cottage from 1940 to 1950. The hut can be accessed from Slaughterhouse Road, just outside the small historical town of Georgetown, about 190km from Adelaide. For all locations, you'll need to provide your own bedding, cooking utensils and food although sometimes, thoughtful campers leave a variety of items for the next group to use. Water availability at the camping huts is not always guaranteed and should not be consumed without treatment, so it is always wise to take enough water for your needs. If you have always wanted to try camping but just can't bring yourself to pitch the tent and roll out your sleeping bag, these huts might be just what you need to enjoy a brief stay in the regional areas in South Australia. They might not be five-star accommodation but they do have the basics and a solid roof to keep out the weather. Gather up the family or a group of friends and give the huts a try and don't forget to sign the book, it's the proof you have actually gone camping! Why? If you don't want to sleep in a tent, try these camping huts. When: April 1 to November 30, subject to change. My sort of camping! Well done Hazel, great article - a deserved award! Some very old holiday places have the toilet out in the back yard as do some in near metropolitan ones. In the outback it may be even be "long drop" style.